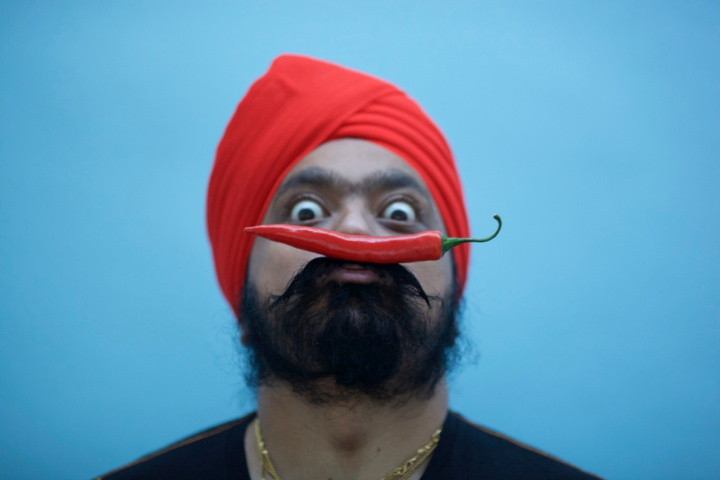 Award-winning celebrity chef Tony Singh will add a touch of spice to proceedings when he hosts this year’s record-breaking Highlands and Islands Tourism Awards (HITA) next month. The Leith-born, fourth generation Scottish Sikh is a familiar face on television, having appeared on shows including Ready Steady Cook and The Great British Menu. He also recently appeared on the BBC programme A Cook Abroad when he visited India and explored and cooked the traditional food of the Punjab. Tony has been in the restaurant industry for more than 20 years and is renowned for his contemporary Scottish cooking, which incorporates influences from around the world, and dishes such as his signature haggis pakora. He has run a number of businesses, including Oloroso, Tony’s Table and the Ugly Brad Bakery and has worked in some of Scotland’s most prestigious restaurants including The Royal Yacht Britannia, The Balmoral Hotel, The Royal Scotsman train and Skibo Castle. He has also cooked for some of the most famous people in the world, including the Sultan of Brunei, former President Bill Clinton, the Prince of Wales and Prince Albert of Monaco and was also the Scottish Government chef for Tartan Week in New York, for the Commonwealth Games in New Delhi and at the opening of the Commonwealth Games in Glasgow. As Master of Ceremonies at this year’s HITA gala final in the Drumossie Hotel in Inverness on 13 November, he will oversee the presentation of awards in 15 categories. Each winner will go on to represent the region at the national final of the Scottish Thistle Awards next year. I am delighted to be hosting this year’s HITA awards which is such an important occasion for people involved in the industry. To be recognised by your peers and the people who visit this area is fantastic. Winning an award gives everyone in a business, the owner and the whole background team involved in making it work, a real boost and shows them they are doing it right. I’m looking forward to a great night and a real celebration of what the Highlands and Islands has to offer. Tony Singh’s great humour and extensive knowledge of the hospitality industry makes him an ideal choice to host this year’s awards. It’s been a great year with record-breaking numbers of entries and nominations for the awards, so each category has been fiercely fought. It has made for an exciting competition and also helps with our continuous quest to raise standards even further across the industry. Some 190 businesses and individuals entered or were nominated for this year’s HITA awards and 44 were named on the shortlist earlier this month. Categories recognise quality and service in accommodation types from hotels to B&Bs, as well as experiences such as formal and informal dining and outdoor adventures. They also cover attractions and events, and identify individuals who champion hospitality or are young ambassadors for the industry. This year four new sections were created to recognise tourism innovation, friendly pubs, outstanding sporting events, and individuals dedicated to hospitality. The 2015 HITA awards, run in association with SSE, were launched in April by Cabinet Secretary for Culture, Europe and External Affairs Fiona Hyslop. The contest’s area was extended to include part of Argyll this year, but even without the boundary change the number of entries and nominations was nearly 40 per cent up on 2014.